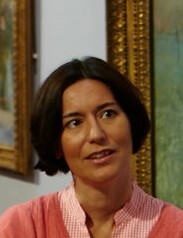 Lisa Bortolotti is Professor of Philosophy at the University of Birmingham. She works in the philosophy of cognitive sciences and in biomedical ethics. Her main research interests lie in irrational beliefs. From September 2013 to September 2014 she held an AHRC Fellowship. In October 2014 she started a new project, Pragmatic and Epistemic Role of Factually Erroneous Cognitions and Thoughts (PERFECT), funded by a European Research Council Consolidator Grant. Her monograph on delusions, Delusions and Other Irrational Beliefs (OUP 2009), won the American Philosophical Association Book Prize in 2011. Her new book, Irrationality (Polity 2014), has just been released. Can delusions playing a defensive function (hereafter, motivated delusions) have epistemic benefits? Arguably, they can prevent loss of self-esteem and help manage strong negative emotions. The claim that delusions are psychologically adaptive was recently discussed in the psychological literature (McKay and Kinsbourne 2010; McKay and Dennett 2009). Without denying that delusions are typically false and irrational, and that they compromise good functioning, my goal here is to ask whether the psychological benefits attributed to motivated delusions can translate into epistemic benefits. Thinking about delusions in terms of potential epistemic benefits invites a reflection on the relevance of contextual factors in epistemic evaluation. Clinical delusions are symptoms of psychiatric disorders such as schizophrenia, dementia, and delusional disorders. Motivated delusions can be characterised as irrational beliefs, in that they are implausible, they do not accurately represent reality, they do not respond to evidence, and they may not be consistently reflected in behaviour. An example of a monothematic delusion with a defensive function that emerged as a result of brain damage is the case of Reverse Othello syndrome (Butler 2000). A man, BX, delusionally believed that he was in a happy relationship, when in fact his partner had left him. BX’s belief in the fidelity of his previous partner and the continued success of his relationship was very resistant to counterevidence. BX believed that his relationship was going from strength to strength, even though his former partner did not want to communicate with him and was in a relationship with someone else. The delusion seemed to protect BX from an undesirable truth while he was coping with the consequences of permanent disability. Gradually BX developed the delusion that his former romantic partner was still in a relationship with him, and also that they had recently married. While still in hospital, he often asked to go home so that he could see his wife. Butler argues that the delusion relieved the sense of loss that BX was feeling at the time. [A]ppearance [of delusions] may mark an adaptive attempt to regain intrapsychic coherence and to confer meaning on otherwise catastrophic loss or emptiness (Butler 2000). As gradually as it had appeared, BX’s delusional system dissolved, and by the end of the process BX realised that his former partner had moved on, was not married to him, and had no intention to go back to him. This happened roughly at the time when BX had completed his physical rehabilitation and was ready to return home. Butler argues that a psychological defence against depression contributed to the fixity and elaboration of BX’s delusional system. The delusion kept BX’s depression at bay at a very critical time. Acknowledging the end of his romantic relationship might have been disastrous at a time when he was coping with the realisation of his new disability and its effects on his life. According to the “shear-pin” account developed by McKay and Dennett, some false beliefs that help manage negative emotions and avoid low self-esteem and depression can count as psychologically adaptive. McKay and Dennett suggest that, in situations of extreme stress, motivational influences are allowed to intervene in the process of belief evaluation, causing a breakage. Could motivated delusions be adaptive misbeliefs? The mechanism that inhibits motivational influences on belief evaluation is compromised, and as a result of this motivated delusions emerge, making negative emotions easier to manage and depression less likely to ensue. McKay and Dennett consider the possibility that motivated delusions count as adaptive misbeliefs, but interestingly argue that the extent to which desires are allowed to influence belief formation in the case of delusions is pathological. Delusions are the result of the maladaptive version of a psychologically adaptive mechanism. According to the shear-pin account, the situation in which adaptive misbeliefs emerge is already seriously compromised. The premise is that the person is already experiencing high levels of distress, and can come to more serious harm unless her negative emotions are managed. Thus, the benefit here amounts to the prevention of more serious harm than the one the person is already experiencing. In other words, the adaptive misbelief is equivalent to an emergency response. According to the legal notion of justification defence, an act does not constitute an offence when it prevents serious harm from occurring and other ways of preventing the harm were not available to the agent at the time. The act is seen as an acceptable response to an emergency. I want to apply this notion of innocence to the domain of epistemic evaluation. In some contexts, a misbelief may help avoid worse epistemic consequences, and thus qualifies as an acceptable response to an emergency. A delusion is epistemically innocent if adopting it delivers a significant epistemic benefit that could not be obtained otherwise. If a belief helps manage negative emotions, protect self-esteem, and relieve anxiety and stress (e.g., “I am now severely disabled, but my girlfriend still loves me”), it will have positive effects not just on the agent’s wellbeing but also on her capacity to function well epistemically. By having the belief, a person will be more likely to engage with her surrounding physical and social environment in a way that is conducive to epistemic achievements. Consequences of stress and anxiety include lack of concentration, irritability, social isolation, and emotional disturbances. These in turn negatively affect socialisation, making interaction with other people less frequent and less conducive to useful feedback on existing beliefs, and to the fruitful exchange of relevant information. Due to reduced socialisation and engagement, the acquisition and retention of knowledge is compromised and intellectual virtues are not exercised. Notice that the delusional belief may bring relief at the time when it is adopted, due to the person being already in an epistemically compromised situation, but it often increases rather than reduces stress and anxiety when it is maintained in the face of conflicting evidence and challenges from third parties. Stress and anxiety no longer come from the negative emotions associated with trauma or loss (e.g., “My girlfriend left me”), but from the fact that the content of the delusion clashes with aspects of the person’s experience, conflicts with other things she believes or feels, and alienates other people. For all of these reasons, anxiety and depression do not always lessen after a delusion is adopted, they can also heighten. My claim here is modest: delusions can be epistemically innocent when they are adopted; and their epistemic innocence does not mean that they are also epistemically justified, or epistemically good overall. Cannot the person adopt a belief that has the same epistemic benefits as the delusional one but fewer costs? One suggestion emerging from the empirical literature is that, in the extraordinary circumstances in which the agent finds herself, no other belief with the relevant characteristics is available. A belief that is more tightly constrained by evidence (e.g., “My girlfriend left me”) than the delusional one may not be as well placed as the delusional one to play a defensive function, in terms of defusing the negative emotions caused by trauma and disability. The non-delusional belief lacking those psychological benefits may also lack the epistemic benefits associated with the delusional belief. I suggested that motivated delusions have obvious epistemic costs but can also have a significant epistemic benefit that would be otherwise unattainable. When we think about adaptive misbeliefs, we usually think in terms of there being a trade-off. Believing something false can make us feel better, but it leads us further away from the truth. The case for the potential epistemic innocence of motivated delusions puts some pressure on the trade-off view. It would be misleading to believe that motivated delusions provide anxiety-relief and protect self-esteem by compromising access to the truth. Rather, in the account I have sketched, the delusion is adopted at a time when access to the truth is already compromised, and it would be further compromised unless negative emotions were effectively managed. As a temporary response to an emergency, motivated delusions play a useful epistemic function. In the case of BX with Reverse Othello syndrome, the clinical team decided not to challenge the delusion after they realised that there were no other psychotic symptoms and the delusion was playing a defensive function. Persistent attempts […] to challenge B.X.’s delusional beliefs were unsuccessful and usually led him to become tearful and agitated. A clinical team might decide not to challenge a delusion if they think that it will be ineffective or disruptive, or if there is a high risk of depression ensuing from the agent’s insight into her mental illness. My discussion suggests that, in these contexts, challenging the delusion would not be advisable from an epistemic point of view either. 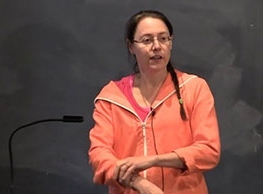 At the critical stage, motivated delusions may serve a useful epistemic function, allowing the agent to overcome negative feelings or low self-esteem that would prevent her from functioning as an epistemic agent. Butler, P. (2000). Reverse Othello syndrome subsequent to traumatic brain injury. Psychiatry: interpersonal and biological processes 63 (1): 85–92. McKay, R. and Dennett, D. (2009). The Evolution of Misbelief. Behavioral and Brain Sciences 32 (6): 493–561. McKay, R. and Kinsbourne, M. (2010). Confabulation, delusions and anosognosia. Motivational factors and false claims. Cognitive Neuropsychiatry 15 (1): 288-318. For the research on which this post is based, I acknowledge the support of the Arts and Humanities Research Council (The Epistemic Innocence of Imperfect Cognitions, grant number: AH/K003615/1). A more detailed argument will appear in an article entitled “The Epistemic Innocence of Motivated Delusions”, forthcoming in Consciousness & Cognition.